Participation in Sierra’s 12th annual Cool Schools ranking was open to all four-year undergraduate colleges and universities in the United States and Canada, and for the first time, two-year community colleges were eligible to participate. Sierra received 269 complete responses from qualified colleges- a record response rate. Sierra ranks schools on sustainability to serve as a guide for prospective and current students and alumni, as well as school administrators, so as to compare colleges’ commitments to environmentalism and to spur healthy competition among schools, raise environmental standards on campus, and publicly reward the institutions that work hard to protect the planet. 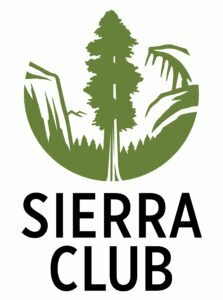 Sierra is the official magazine of the Sierra Club, the United States’ oldest, largest and most influential grassroots environmental group. As in past years, Sierra collaborated with the Association for the Advancement of Sustainability in Higher Education (AASHE) to gather the raw data for the rankings. 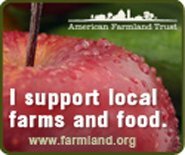 The raw data is submitted by participants via AASHE’s Sustainability Tracking, Assessment & Rating System (STARS). For the 2018 rankings, Sierra processed the STARS data through a custom-built formula that ranked the schools according to its own weighting criteria across 18 categories ranging from curriculum to water as well as the category that we spotlight, food and dining. Sterling College has been ranked number 1 for food and dining for the past three years. To determine its top ten cool schools for 2018, Sierra made adjustments to the STARS scoring in order to give much more weight in the areas of (i) energy, (ii) air and climate, and (iii) transportation because the Sierra Club believes that progress in these sectors is essential for addressing the climate crisis. It also gave more weight to public engagement efforts, out of the belief that colleges and universities have a responsibility to encourage students to be civic actors in their communities. And in the area of academics, it gave relatively greater weight to curriculum over research. Colleges and universities that choose to participate in the annual Sierra rankings deserve praise for demonstrating to their students that they care about environmental sustainability and seek to meet Sierra’s high standards. If your school does not participate, contact the institution’s sustainability coordinator or public relations office and ask them to participate. Click here to see if your school is among the 269 participants in the 2018 cool school rankings.